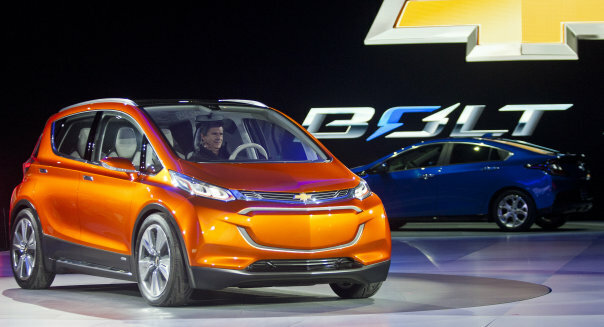 Just one month after debuting at the Detroit Auto Show, GM announced that their Chevrolet Bolt concept will officially enter production by the end of 2016. According to the company, they will invest about $200 million in two suburban Detroit plants to help get the electric hatchback vehicle on the roads as quickly as possible. Of that $200 million, GM will be dumping about $160 million into the company’s Orion assembly plant, which is also the home to Chevy Sonic and Buick Verano production, for new tooling and equipment. The other $40 million will be invested into the company’s Pontiac Metal Center plant to produce new dies. Batey also went on to say that the Bolt will be available for purchase in all 50 states and will be sold at around $30,000. 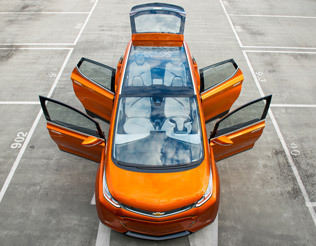 This entry was posted in Culture, GM and tagged Chevy Bolt, GM, investment, production, the Detroit Auto Show. Bookmark the permalink.